Cricket is not the most popular game in India, but is a bona fide religion. Cricket star are adored as gods and often outshine celebrities in the country. Cricket in India can be compared football in Brazil or Germany. Historically, cricket's origins are related to England in the middle of the 16th century. Though it was simple game, it soon began to spread globally with the expansion of the British Empire in the countries like Australia, South Africa, West Indies and Indian Sub-Continent. The first ever match of first class cricket played in India was in 1864 which was Madras vs Calcutta. Soon, Indian Cricket team became a member of the 'elite club' joining Australia, England, South Africa, New Zealand and the West Indies in June 1932. India's first match in Lords against England attracted a massive crowd of 24,000 people including the King of the United Kingdom. The Indian national cricket team won the 1983 Cricket World Cup, the 2007 ICC World Twenty20, the 2011 Cricket World Cup, the 2013 ICC Champions Trophy, and shared the 2002 ICC Champions Trophy with Sri Lanka. The domestic competitions include the Ranji Trophy, the Duleep Trophy, the Vijay Hazare Trophy, the Deodhar Trophy, the Irani Trophy and the NKP Salve Challenger Trophy. Virat Kohli (Captain), Lokesh Rahul, Rohit Sharma, Shikhar Dhawan, Ambati Rayudu, Dinesh Karthik, Mohammed Shami, Mohammed Shami, Kuldeep Yadav Yuzvendra Chahal, Bhuvneshwar Kumar, Mohammed Siraj, K Khaleel Ahmed, Ravindra Jadeja, Kedar Jadhav, Hardik Pandya, Mahendra Singh Dhoni. 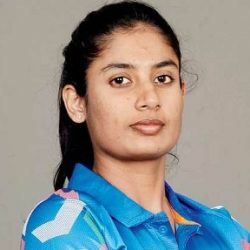 Mithali Raj (T20I Captain), Harmanpreet Kaur, Thirush Kamini, Veda Krishnamurthy, Smriti Mandhana, Mona Meshram, Poonam Raut, Vellaswamy Vanitha, Latika Kumari, Jemimah Rodrigues, Sushma Verma, Ravi Kalpana, Shikha Pandey, Deepti Sharma, Anuja Patil, Ekta Bisht, Rajeshwari Gayakwad, Mansi Joshi, Sneh Rana, Pooja Vastrakar, Poonam Yadav, Radha Yadav. The Board of Control for Cricket in India (BCCI) is the national governing body for cricket in India.The board was formed in December 1928 as a society, registered under the Tamil Nadu Societies Registration Act. The BCCI is India's richest sporting body and the richest cricket board in the world. Top members of the board include its President C K Khanna, Chief Executive Rahul Johri, Vice president Somnath Dhar and Secretary Amitabh Chaudhary. Men's coach	Ravi Shastri and Women's coach W V Raman. He is often known as Ranji is a noted Test cricketer who played for the English cricket team. He was the ruler of the Indian princely state of Nawanagar from 1907 to 1933, as Maharaja Jam Saheb. He is widely been regarded as one of the greatest batsmen of all time. Unorthodox in technique and with fast reactions, he brought a new style to batting and revolutionised the game. Previously, batsmen had generally pushed forward; Ranji took advantage of the improving quality of pitches in his era and played more on the back foot, both in defence and attack. He is particularly associated with one shot, the leg glance, which he invented or popularised. The first-class cricket tournament in India, the Ranji Trophy, was named in his honour and inaugurated in 1935. 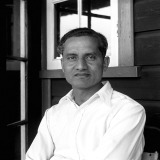 Cottari Kanakaiya Nayudu who is also known as CK, was the first captain of the Indian cricket team in Test matches. He played first-class cricket regularly till 1958, and returned for one last time in 1963 at the age of 68. In 1923, the ruler of Holkar invited him to Indore and made him a Captain (land and air) in his army. He was later conferred the honour of a Colonel in Holkar's Army. The Government of India awarded him the third highest civilian honour of Padma Bhushan in 1956. He was an Indian cricketer, who captained India in 14 matches between 1951 and 1953. In India's 25th Test match, nearly 20 years after India achieved Test status, he led India to its first ever Test cricket win (and the only victory under his captaincy) in 1951–52 against England at Madras, winning by an innings and eight runs. He has been honoured with a trophy in his name, the Vijay Hazare Trophy, a zonal-cricket tournament in India. He is a former Indian cricketer who was primarily a slow left-arm orthodox bowler. He played Test cricket for India from 1966 to 1979. He played a total of 67 tests and took 266 wickets. He also captained the national side in 22 Test matches. Bedi wore a colourful patka and has voiced outspoken and forthright views on cricketing matters. He was inducted into the ICC Cricket Hall of Fame in 2009. Sunil Manohar 'Sunny' is a former Indian international cricketer who played from the early 1970s to late 1980s for Indian national team. Widely regarded as one of the greatest Test batsmen and best opening batsmen in Test cricket history. He held world records during his career for the most Test runs and most Test centuries scored by any batsman. 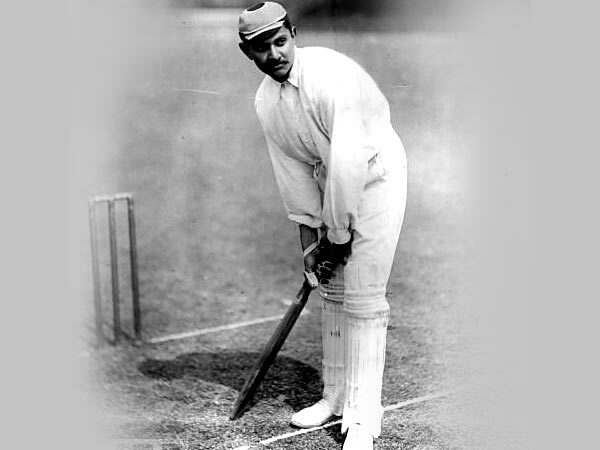 He was the first Test batsman to score 10,000 Test Runs in a Career. 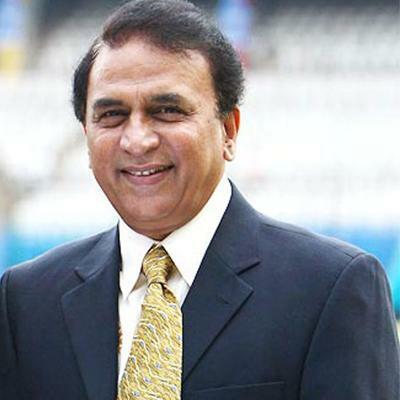 He is a former Indian cricketer who Dev captained the Indian cricket team that won the 1983 Cricket World Cup. He was named by Wisden as the Indian Cricketer of the Century in 2002. When he retired in 1994, he helding the world record for the greatest number of wickets taken in Test cricket. Dev was inducted into the ICC Cricket Hall of Fame. He is the only player in the history of cricket to have taken more than 400 wickets (434 wickets) and scored more than 5000 runs in Tests. He is considered as one of the greatest all rounders. He is a former Indian cricketer and captain. He is widely regarded as one of the greatest batsmen in the history of cricket. He scored nearly 25000 runs in international cricket. He is colloquially known as Dependable or Mr. Dependable, and often referred to as The Great Wall. Dravid became the fifth Indian cricketer to be inducted into ICC Hall of Fame. He is a former Indian cricketer and a former captain of Tests and ODIs. A right-arm leg spin (leg break googly) bowler, he took 619 wickets in Test cricket In 1999 while playing against Pakistan, Kumble dismissed all ten batsmen in a Test match innings, joining England’s Jim Laker as the only players to achieve the feat.He was nicknamed Jumbo. Kumble was selected as the Cricketer of the Year in 1993 Indian Cricket, and one of the Wisden Cricketers of the Year three years later. he became the fourth Indian cricketer to be inducted into ICC Hall of Fame. 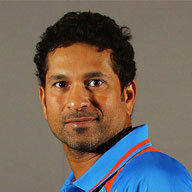 Sachin Ramesh Tendulkar is a former Indian international cricketer and a former captain of the Indian national team. He is regarded as one of the greatest batsman of all time and is the highest run scorer of all time in International cricket. He is the only player to have scored one hundred international centuries, the first batsman to score a double century in a ODI, the holder of the record for the most number of runs in both Test and ODI, and the only player to complete more than 30,000 runs in international cricket. He is colloquially known as Little Master. He is the youngest recipient to date and the first ever sportsperson to receive the Bharat Ratna award. Mahendra Singh Dhoni is an Indian international cricketer who captained the Indian national team in limited-overs formats from 2007 to 2016 and in Test cricket from 2008 to 2014. Under Dhoni's captaincy, India have won the top prize in all formats: the No.1 Test ranking for 18 months starting December 2009, the World Cup in 2011 and the World Twenty20 on his captaincy debut in 2007. He holds a number of captaincy records such as the most wins by an Indian captain in Tests, ODIs and T20Is, and most back-to-back wins by an Indian captain in ODIs. He is an Indian international cricketer who is the captains the India national team. A right-handed top-order batsman, Kohli is regarded as one of the best batsmen in the world. He plays for Royal Challengers Bangalore in the Indian Premier League (IPL), and has been the team's captain since 2013. 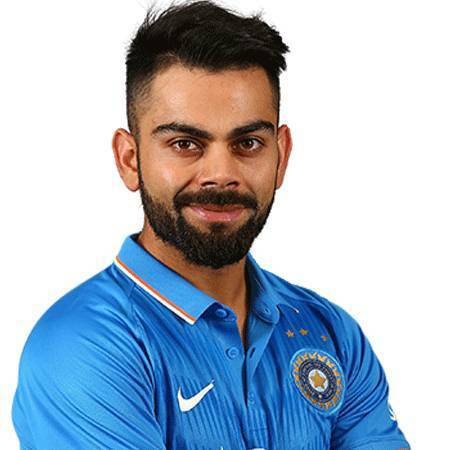 Kohli has been the recipient of many awards such as the Sir Garfield Sobers Trophy (ICC Cricketer of the Year) in 2017; ICC ODI Player of the Year in 2012, 2017 and Wisden Leading Cricketer in the World in 2016, 2017. He was given the Arjuna Award (2013) and the Padma Shri (2017). She is an Indian cricketer and the captain of the Indian women's cricket team in Tests and ODI. She is often regarded as one of the greatest batswomen to have ever played the game, she is the highest run-scorer in women's international cricket and the only female cricketer to surpass the 6,000 run mark in WODIs. She is a recipient of the Arjuna award (2003).